Auctionmapper is a site that based on eBay searching. 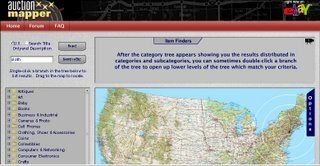 It uses flash search results on a map. It is fast if you want search something on eBay.